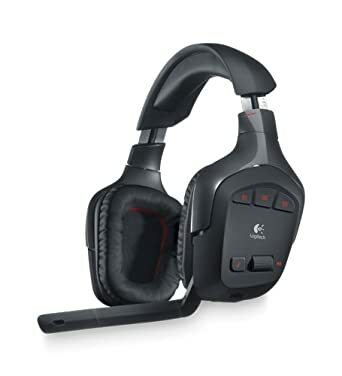 I am looking to get a new headset, thinking of going wireless because of con calls with the office. What is your opinion on yours? Not sure I really want the larger "over the ear" style, but not ruling anything out right now. I too have been wondering about what wireless headsets people use and like. I would prefer comfortable and lightweight to audio quality, so I'm probably looking for something like what Ryder would like as well. They are over the head though. For my next headset, I'll probably be using this with a nicer set of headphones, but that may or may not work for your use case. I see @Zanthian was fully engaged in the conference call we were both on. A note on the Logitech G930. I had a pair of these and recommended them to several people. While they are generally very good, there are some issues. 1) @annes and @pragtastic had pretty bad issues with them. I think most of this was due to their last place being a wireless nightmare. 2) Being a logitech product the drivers are pretty bad. They sometimes work. Then other times you might have to restart your computer/the headset to get things to play nicely. Stupidly annoying. 3) Mine did end up breaking. But this was after 2 years of almost daily use for extended periods of time. Totally worth the price after that long. My G930 work fine, no issues so far. Use my G930 in the office now. Apparently not having a hundred other wireless signals to content with (1st world condo problems) will make these headsets happy. This is provided to me at work. It's the nicest headset I've ever used. Works when I get coffee 50 ft away in the breakroom. Lasts through 2 hour calls. 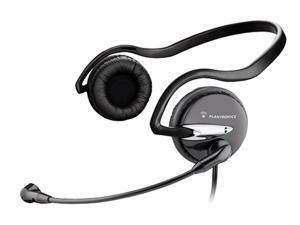 Only works with Avaya phones, but point it Plantronics makes some good stuff. Man I would love a wireless headset. As others can attest, I am frequently tripping over the damn wire and getting it caught in everything. After a few initial problems with my G930, that was fixed with reinstalling software and moving the receiver it works flawlessly. Not sure it's fit for an office environment though, due to the size (although it is quite lightweight) and it blocks out almost all other sounds. I won't be using this in an office environment, I work from home and the con calls are on skype. Here is a home version of what I posted earlier. AKG K701 or 702 with an AntLion mic and you'll have the best positional headphones for gaming you'll find anywhere! $15 Cyber Acoustics headset. TF2 and System Shock 2 sound excellent. However, I've never experienced $200 headset territory.